The developers of Skype, the messages application and internet calls, announced that the platform already has the ability to translate in real time and instantly conversations made from Skype (only in the PC app) to a mobile or landline. 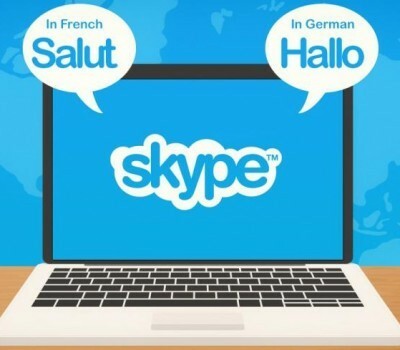 For example, when you call to France by Skype, the person who answers will not have to have Skype or not speak your language to be able to communicate with you. If you want to book a reservation in Paris you can now call from your PC to the fixed hotel to your liking. Let us remember that the translation in real time only worked so far in calls within the application. In other words, when the two partners were using Skype. For now, this function is only possible with translations between English, Spanish, French, German, Mandarin Chinese, Italian, Brazilian, Portuguese, Arabic and Russian. In addition, only people registered for the test program Windows Insider, with the installed latest version of the app Skype Preview on a PC, can use the instant translator. It is expected that the tool will be incorporated into the other versions in the coming weeks. How does automatic translation work on Skype? Before starting the call, the user must activate the translator by pressing a button and choosing the languages to be used. When the call is communicated, the recipient will hear a short message and prerecorded that will indicate that the call will be translated by Skype. And that’s all; the message is translated. Microsoft did not say when Skype Translator will be available to the general public, but could come in the Build 2017, the Conference for Microsoft developers that will hold in May.